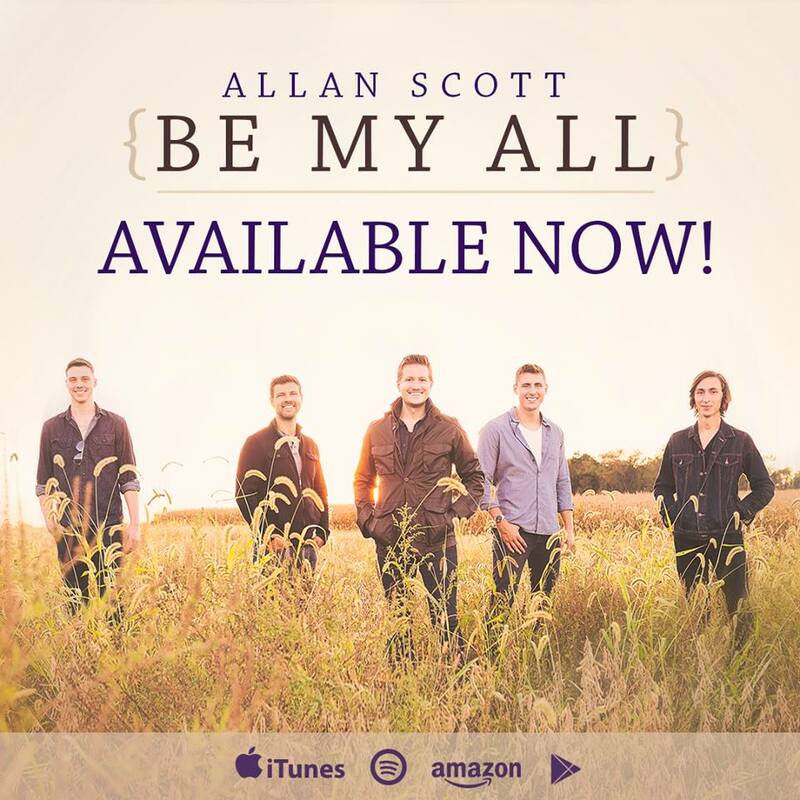 Allan Scott's New Release: "Be My All"
I love the creative process. You start with an idea -- a concept, a string of words, a picture in your mind, a fragment of a melody -- and then, over days, weeks, months, or years, you take that idea, focus it, pound it into shape, revise it, massage it, get excited about it, start to love it, grow tired of it, begin to dislike it, worry what others will think of it, periodically give up on it, revisit it afresh, grow reinvigorated, invest even more of your heart and soul and talent, and then, after all that work and struggle, hopefully, you love it even more than before. It's at this point -- when the creative process has produced an actual product -- the creator has to step back, let go, and release it to the world. And just like that, it's out there. This is what happened today for our friend, Allan Scott, with the release of his newest song, "Be My All," and I'm so glad that it did. My husband and I have known Allan and his wife for years, and we've heard him play live on many occasions. I love both his music and message. Over the years, his songs have made my playlists and served as soundtracks for my life, always offering truth and hope. Because of this, I invite you to check out "Be My All" on iTunes or Google Play and then soak it in, like a prayer asking God to be our strength when we are weak, our eyes when we can't see. Essentially, to be our all, our everything. Want to hear a sample of the song? Follow the links above, and then join Allan on Facebook to learn his story and upcoming events!